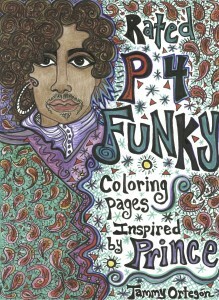 SUNDAY, JANUARY 22nd: From 4-8pm – I am Excited to Share my New “Rated P 4 Funky – Coloring Pages Inspired by PRINCE” with You! – Book release Party at the ColorWheel Gallery Books will be signed at a Special Price of $19.99 Enjoy Sweet Treats & Listen to Prince Music as You Color pages from the Book with other Fans (All Art Materials & Art Pages will be provided Free for Everyone) Coloring Together! Create Community at Our #InspirationTable ! The ColorWheel Gallery also carries a Nice Selection of Locally made Prince Inspired art & Memorabilia. 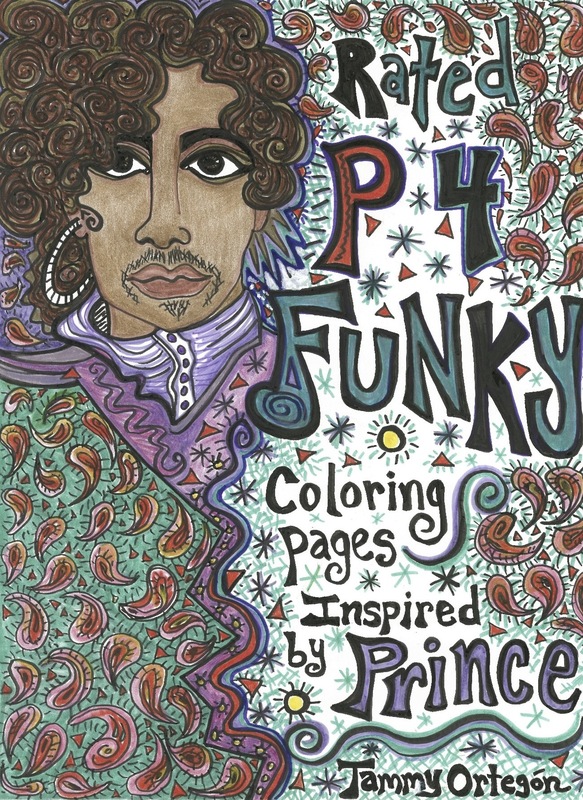 Rated P 4 Funky – Prince Inspired Coloring Pages ©2016 – Tammy Ortegon – Unique pages to Color Inspired by the Unique Power, Passion, Talent, Style & my Memories of Prince Rogers Nelson. Prints of Original drawings by Local Artist Tammy Ortegon. Printed in Minneapolis on Fine Art Paper.